Please Email vs PM - Thanks for looking! Sierra .30 Cal 175gr MatchKings...same bullet used in M118 LR - $45 per 100 shipped...500 available These bullets do not have boxes, but are bagged. Will ship bullets in a small USPS box...for the Fail Safes, I will remove the bullets from the box and bag and fold the box to fit. More than 2 boxes will ship in a medium USPS box. I should be able to get all 500 Sierra's in a small box. Will accept discrete PayPal (no mention brass, bullets, ammo in remarks - select personal tab, then select other or payment owed)...PayPal is cracking down on the "gift" option; this avoids that hassle. If you want to use a credit card, a box will appear allowing you to pay the fee. Or, you can add +4% if normal payment option is used. USPS MO and certified check is also accepted...bullets will ship when payment is received. EMAIL to coordinate payment. EMAIL to coordinate payment. Will consider trade for bullets in .223: 75gr AMax, 55gr VMax or 55gr Ballistic Tip. 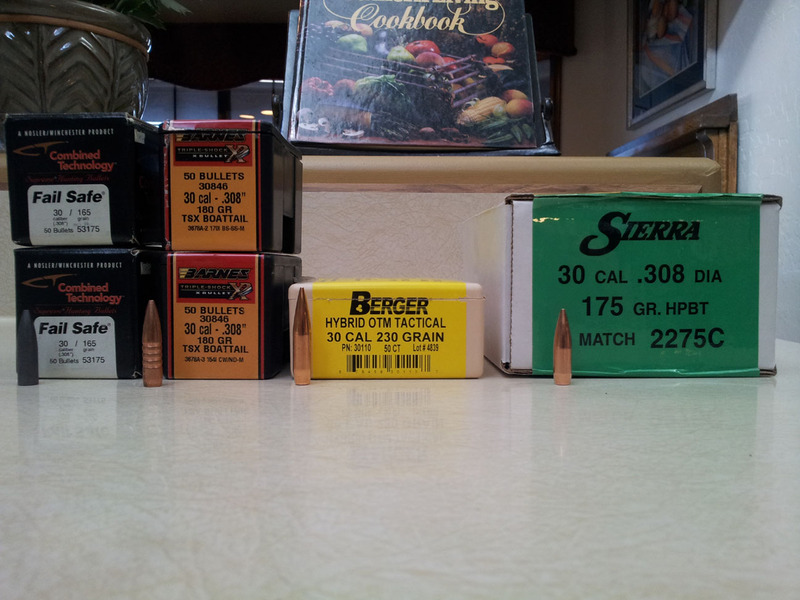 Also, in .308: Barnes TAC-TX 110gr tipped, Nosler 125gr Ballistic tips. If you want to trade, please make a real offer - quantity and type for X number of bullets I have listed. I will not respond to anything else. I trade based on pre-madness pricing...that keeps things fair and even. Yes, your goods have increased in price, but so have mine. As always, cash is king! First "I'll take it" post in this thread has precedence - EMAIL will be answered...I check PMs much less frequent. I'll take the rest of what you have with the exception of the Bergers.